A wide variety of 100 or more mixed puzzles. There's something to suit all moods. No fuss, no nonsense: just simply great puzzles for a simply great price. 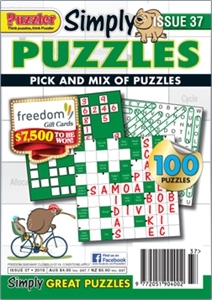 A cash or prize competition is a regular feature in this high-quality bi-monthly puzzle magazine.